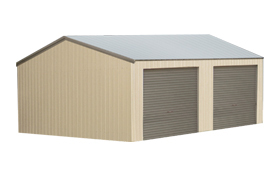 For a limited time, we are offering rock bottom prices on standard sized sheds. 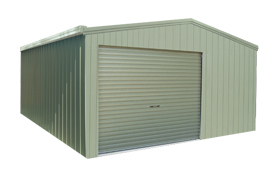 They’re quality BlueScope Steel sheds at high volume prices – so you don’t have to settle for a cheap imported steel shed that won’t stand up to our harsh Australian conditions. Unlike other standard sheds, we offer you a choice of the following genuine COLOURBOND® wall, door and trim colours with a ZINCALUME® roof. Talk to your local distributor to confirm an end date for this offer. 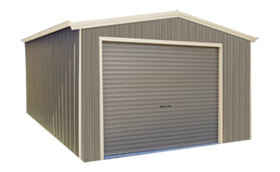 All prices are RRP (inc GST) and may vary according to your Fair Dinkum Sheds authorised distributor. 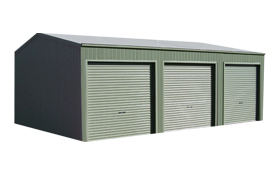 Prices are kit price only and do not include building, council, concreting or other ancillary services. Delivery costs are additional. Pictures are for illustrative purposes only. Products are available for limited distribution areas within NSW as prices are for Region A, Terrain Category 3.0, Shielding 0.85, Topography 1.0 Site conditions to be checked and verified by building certifier before building commences. 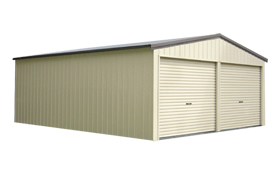 please contact your nearest Fair Dinkum Sheds distributor to confirm eligibility. 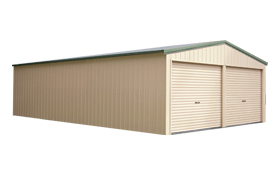 ® are Trademarks of FBHS (Aust) Pty Limited ABN 83 126 232 504 trading as Fair Dinkum Sheds. ShedSafe™ and the ShedSafe™ logo are Trademarks of Australian Steel Institute used with permission. Bluescope, Steel By, COLORBOND® and ZINCALUME® are registered trademarks of BlueScope Steel Limited. The printed steel colours shown here have been reproduced to represent actual colours as accurately as possible. However we recommend checking your chosen colour against an actual product sample before purchasing as varying light conditions and print limitations affect colour tones.